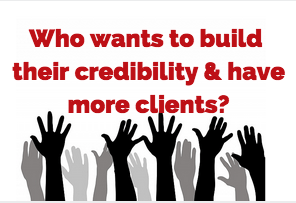 Who wants to build their credibility and have more clients? Let’s talk about creating credibility. What can you do to create credibility in the eyes of your potential new clients? 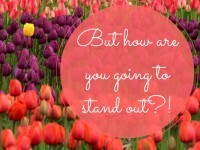 What’s going to make you stand out AND give confidence to clients and assure them before they buy? We can’t just expect people to meet us and buy from us within 5 mins of rocking up to our websites or wherever. So, how can you create credibility? Tons of ways! Here are a few to begin with….in no particular order. How long you have been in business? Now, that shouldn’t detract from how brilliant you are at what you do and what you sell, but it’s true that some people won’t feel assured when they visit a website and it’s brand spanking new, pages are still being built and there are a couple of blog posts. (Or that a blog hasn’t been updated for months!). Only time can actually cure that one, and patience on your part. Some people prefer to work with people who have been established and have a track record. Who have you helped? Get some recommendations and testimonials on your pages/site/wherever. Which is a bit chicken and egg when you are starting out and don’t HAVE any clients to give you recommendations yet. I don’t advocate working for free for forever (God knows I’ve done SO much free work – TOO MUCH – when I was starting out), but I would say consider working for free for 3 people on the proviso that if they are happy, you get a killer testimonial from them and enhance your credibility. Who have you worked with….? Is there any big brand/name that you could work for, even on a temporary volunteer basis? Who could you approach? That’s what I did when starting out. I contacted big brands/companies, did some free work and in return I got to say I worked with ‘Insert well-known name’ which boosted my credibility. THEN other ‘well known names’ wanted to work with me and PAY me. You can do that too. Be a speaker! 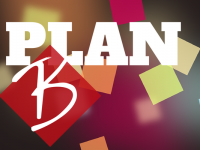 Volunteer at events where you think your can help the audience or create your own events. If you are up on the stage, YOU are the person in the know, the expert and your credibility is created in front of a live audience. Become an author. Authors are experts (well, generally speaking!) and it’s certainly another way to be seen as an expert in your field. Do something press worthy! You’ll have to think of what that press-worthy thing actually is, but again it’s a way to establish some credibility. 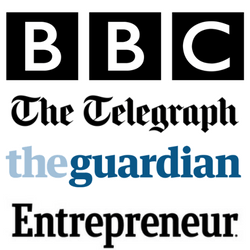 I’ve done that and it’s resulted in press on tv, radio, newspapers, magazines, in the UK and internationally. Free press will not only help you to spread your message, but it’s also credibility building to say ‘As seen in’. What are you going to do build your credibility? 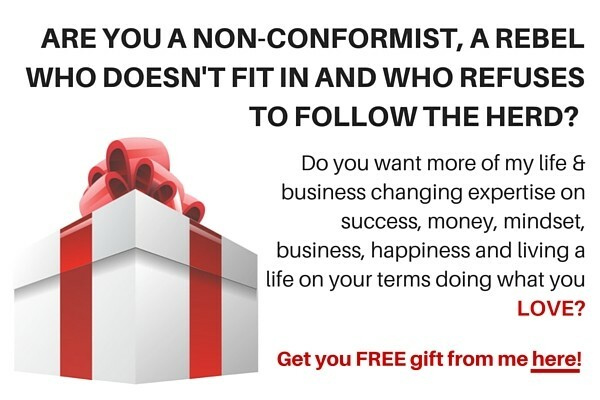 ABOUT Karen Strunks is a speaker and author and helps daring, rebellious, non-conforming women create a No Compromise life and business doing exactly what they love. 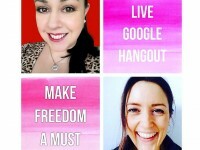 She left her ‘cubicle cage’ and made a break for freedom to follow her passions to today, empowering women to step away from the norm, break the rules and follow their passions. 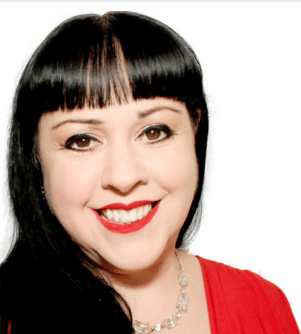 Her work has been featured in print, TV and radio such as The Guardian, BBC, Radio 4, Time Out NYC, The Telegraph, BBC Radio Wales, and she has worked with national and international brands.